Limited special edition in gold - a maximum of 12 pieces available in our shop! Great Christmas action from Artemide: The design classic Tolomeo Micro LED is now available in limited numbers in a gold-coloured special edition. 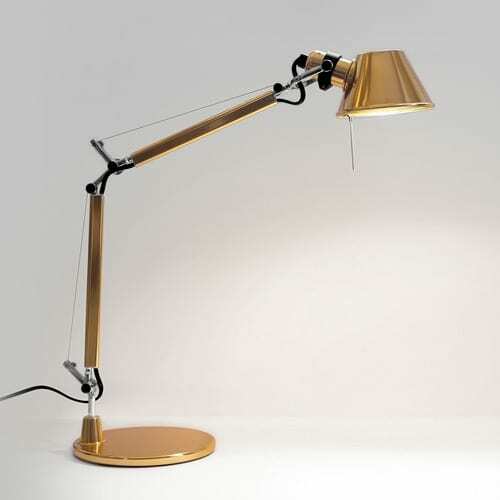 Adjustable arm, base and shade gold coloured, joints made of polished aluminum. With spring compensation system. Do you have a question about "Tolomeo Micro GOLD"? How can we contact you?